10 ideas and fun things to do in Rome! Posted on October 15, 2013 by Guillermo R.
Rome is one of the most historic cities in the world and there’s many reward credit cards that can get you there for free with just points and miles. I can help anyone interested in going to Rome with advice on which credit cards currently have the best bonus points offers to get you there. But once you finally get to Rome many people ask what are some of the best things to do and how many days should they stay there. 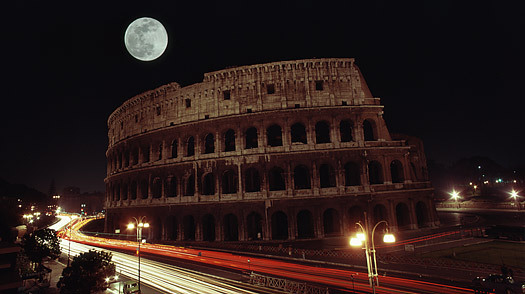 Your stay in Rome is all about your state of mind. Making every hour count means letting the timeless grandeur and beauty of the place seep into your blood. So, keep your eyes open for the little things that aren’t on any list, the nooks and nuances of this ancient city. The best way to see the city is to walk. The sights of London or Paris might be mapped out by a few select subway stops. But in Rome, where you can usually count on good weather and unreliable transportation, you’re best off doing as much as possible by foot. On the street is also where you’ll unearth those unexpected finds. The warm aroma of a bakery. The handmade leather of a local craftsman. The tucked-away piazza that seems stuck in the 16th century, with grandma hanging the clothes out the window and six-year-olds chasing each other across the cobblestones. Even if it doesn’t ever really change, Rome always has the power to surprise. Read on for 10 awesome things worth seeing and doing in Rome! They say the best museum in Rome is the city itself. 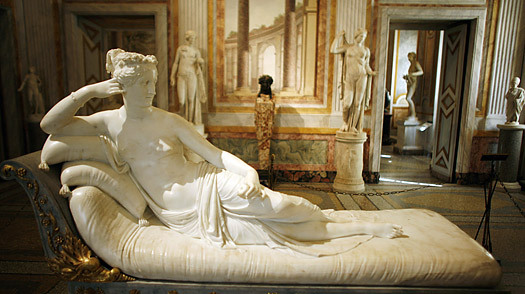 That may be so, but the Galleria Borghese is still a gem worth seeing. Its collections are housed in a magnificent 17th-century villa and offer a compact course in the Italian aesthetic. In just 20 rooms, you are exposed to antiquities, the Renaissance and the beginnings of baroque art. Visits to the Galleria in the northeast corner of the sprawling Villa Borghese park are by reservation, which allows you the pleasure of seeing the Bernini sculptures from every angle without being crowded out. Once you’ve gotten a taste of Caravaggio, a late Renaissance master whose work is featured at the Galleria Borghese, you can’t leave Rome without seeing what many say is his most powerful work. You’ll have to go to church to do it. The Calling of Saint Matthew hangs in the Contarelli Chapel of the San Luigi dei Francesi church, a reminder that 400-year-old art was provocatively modern when it was first conceived. Two other Caravaggio works — St. Matthew and the Angel and the Martyrdom of St. Matthew — which round out the triptych, are also on permanent display here. Seeing such a renowned work in a church you might otherwise have easily overlooked is proof that Rome really is a living museum. Like other basilicas, entry is free (come in the morning, since the church closes at lunchtime); you’ll have to drop a few coins to light up the paintings in the darkened interior and see how Caravaggio infused his own light into the baroque melodrama. It’s hard to get away from art in Italy. Here’s one last solely art-related suggestion, and one that quickly brings us up to the 20th century. 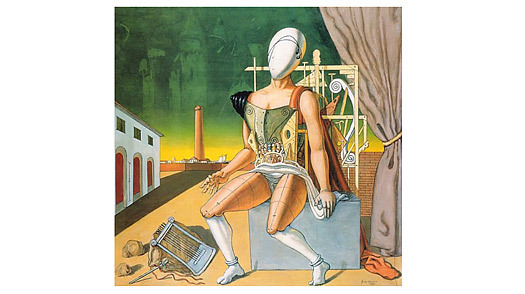 The Giorgio de Chirico House-Museum is a chance to get a guided look at some of the signature works of the master of classically fueled surrealism and to get a peek into his sunny attic studio. The pristinely preserved two-level apartment, where De Chirico lived for more than 30 years until his death in 1978, also lets you glimpse how the city’s upper crust have lived for centuries. In this case, it’s accompanied by about the best view overlooking the splendid Piazza di Spagna. The living area has been left largely as it was during De Chirico’s life and displays dozens of his works. Reservations must be made in advance. If you look out ol’ Giorgio’s living room window (from the Giorgio de Chirico House-Museum) across Piazza di Spagna, you will see the famous Via Condotti, which stacks most of the best-known Italian designers into a 100-m stretch of real estate. For my money, though, I’d go to the other side of downtown for a less well-known, but no less elegant shopping experience on Via del Governo Vecchio, where you can buy everything from fur to bathing suits. It may not exactly be a bargain for American shoppers, but you’ll probably find items not yet available in the U.S. The best way to soak up the city — and to find some of the quainter (and more affordable) shops — is to zig-zag from vicolo to vicolo (alley), piazza to piazza. For a good two-hour stroll, start at the bustling Piazza Navona, then head south through Campo dei Fiori, where you’ll find cafés and daily food and flower markets, to the beguiling Piazza Farnese, with its pair of fountains and Renaissance palace. From there, continue toward Ponte Sisto. 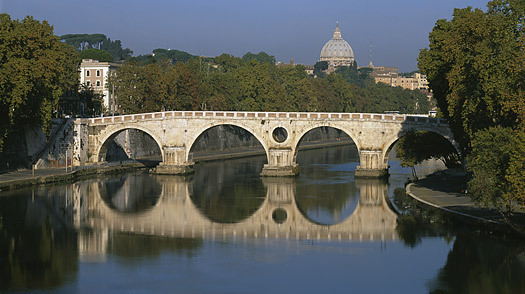 The ponte (bridge) offers a great perspective on the beauty of Rome, with the Gianicolo hill rising to the west and St. Peter’s Basilica to the north. 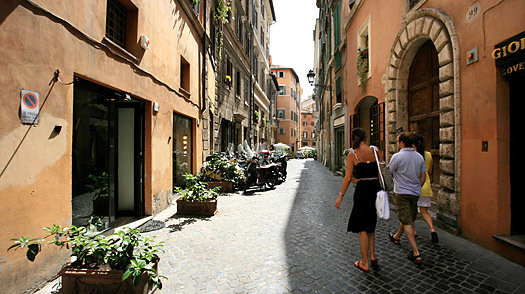 Cross the Tiber to arrive in the utterly charming Trastevere neighborhood, where laundry swings overhead and flowers burst from window boxes; your stroll can continue, and the enchantment (and shops) will keep coming. By now you’re hungry. If you have a lot of ground to cover and don’t have time for a sit-down lunch, try some of the best stand-up pizza of your life. Rome is filled with these pizzerie al taglio (sliced), where ordering what you want is as easy as pointing through the glass toward the variety you like, nodding your approval for the width of the serving, then digging in. Feel free to ask for smaller portions of two or three different types. Beside the standard margherita (tomato sauce and mozzarella), most pizzerie will make a mean potato or zucchini pizza, as well as fresh cherry tomatoes and mozzarella. Two of my favorite places are near the Trevi Fountain. 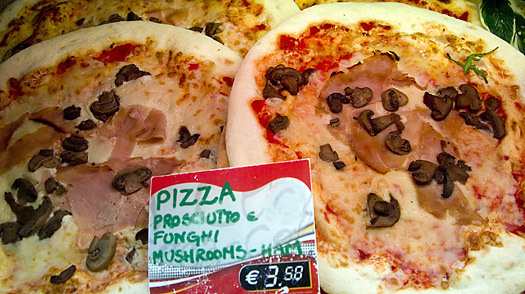 Da Michele serves kosher pizza (meat, but no cheese) cooked to crisp perfection with endless varieties. Try sausage and broccoli, or mushrooms and arugula. My other favorite pizzeria is so small it doesn’t have a name. 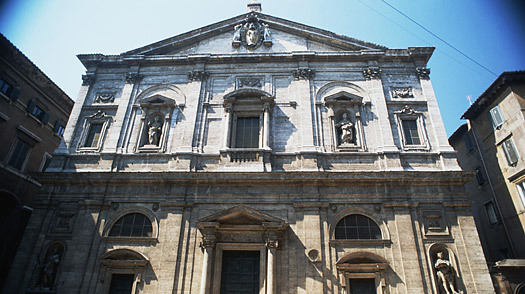 It is on Via del Piè di Marmo, near the corner of Via del Gesù. Try the eggplant. Buonissima! 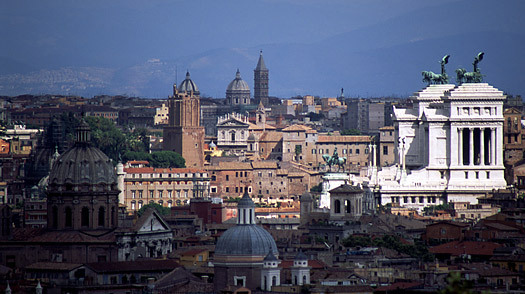 This is known as the city of seven hills, but actually Rome has more than that. Indeed, the Gianicolo (or Janiculum), the hill that affords the best view of Rome, is west of the Tiber and outside the ancient city, so it’s not counted among the ancient seven. Still, it’s close to the historic center, just above the Vatican and the Trastevere neighborhood — and the panorama (not to mention the silence) from the top takes your breath away. At noon, the quiet is momentarily broken by the single shot of a cannon, to mark the exact time, a tradition that dates back to the 19th century. Besides a stunning view of Rome’s ancient landmarks, the Gianicolo gives you a quick and slightly more modern history lesson on the Italian Risorgimento, the 19th-century movement (and wars) that unified modern Italy. Busts of the heroes are scattered along the pathways, and looming over everything is a gigantic statue of the great bearded hero Giuseppe Garibaldi on horseback. Viva Italia! He isn’t always in Rome (particularly in summer), but usually he’s around, so check with your hotel! Sunday at noon is the Angelus prayer when the Pope speaks from his window overlooking St. Peter’s Square. 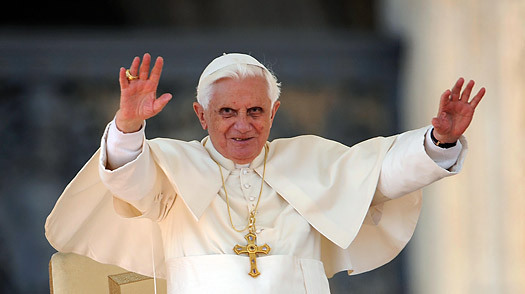 Wednesday morning is the weekly general audience, which is either in the Square or inside the Pope Paul VI auditorium. Tickets are required for the latter, but if you ask the Swiss Guard at the Vatican‘s Bronze Door entrance at around 9 a.m., he’ll slide you the tickets. In any case, best to bring binoculars. You’re hungry again? 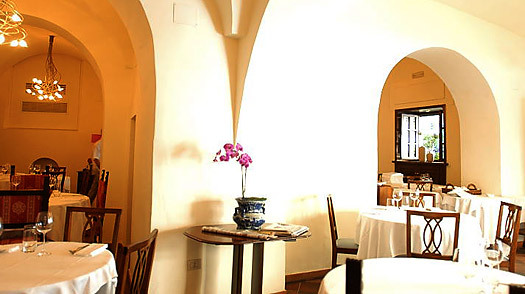 Because of Rome’s agreeable climate, lunch and dinner all’aperto is doable up to eight months out of the year. One of the best restaurants with the nicest terraces is Ristorante Al Presidente, flat in the center of town, under the shadow of the Quirinale presidential palace. The indoor dining room is also lovely. Like pizza al taglio, gelato is not hard to find in central Rome. 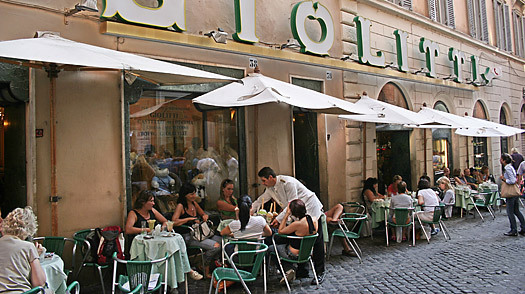 Most of the gelato around here is high quality, but arguably still the best in town is at the famous Giolitti, nestled between the Pantheon and the Italian Parliament. Ask for up to three flavors on a medium cone to go, or sit down at a streetside table and savor every moment. Try bacio, pistachio and nocciola for a creamy, nutty, chocolate-touched delight. This entry was posted in Uncategorized and tagged #awardbooking, #awardbookingservice, #awardtravelpoints, #besttravel, #bestwaytotravel, #bestwaytotraveltips, #frequentflyer, Galleria Borghese, Giorgio, Giorgio de Chirico, Italy, London, Rome, San Luigi dei Francesi, Spanish Steps. Bookmark the permalink.